When you need to move larger groups for an event, wedding, corporate outing or party, we have you covered. With options for groups of up to 28 or even up to 40, our luxury executive shuttles will keep everyone comfortable and safe for the trip. You can also contact us directly at (732) 389-3883 to request a quote or learn more about our group travel services. 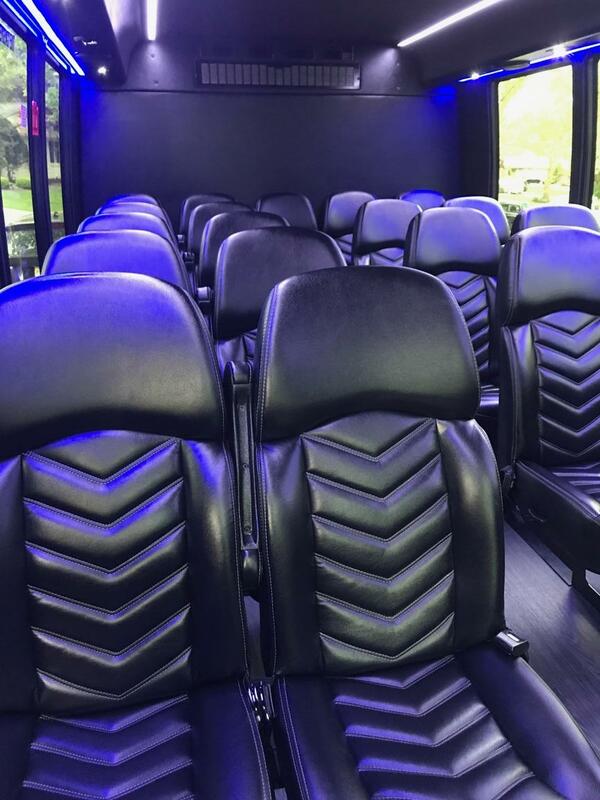 With seating for up to 29 passengers, our luxury executive mini bus is outfitted with sumptuous black leather seating and beautiful hardwood flooring. The perfect vehicle for corporate events, weddings or even wine tours. Have an event coming up that you'd like to get a quote for? Simply click the Get A Quote button below and fill out our short intake form. A dedicated event specialist will reach out to you shortly after to clarify your submission and quote you on our 28 passenger executive shuttle! Our dedicated event specialist will reach out to you shortly to discuss further details and provide you with an all inclusive rate! Thank you!! When you need something bigger than our 28 passenger shuttle, but smaller than our full blown Motor Coach, this is the way to go. Similar to our 28 Passenger option, this vehicle can seat up to 40 in comfort and style.